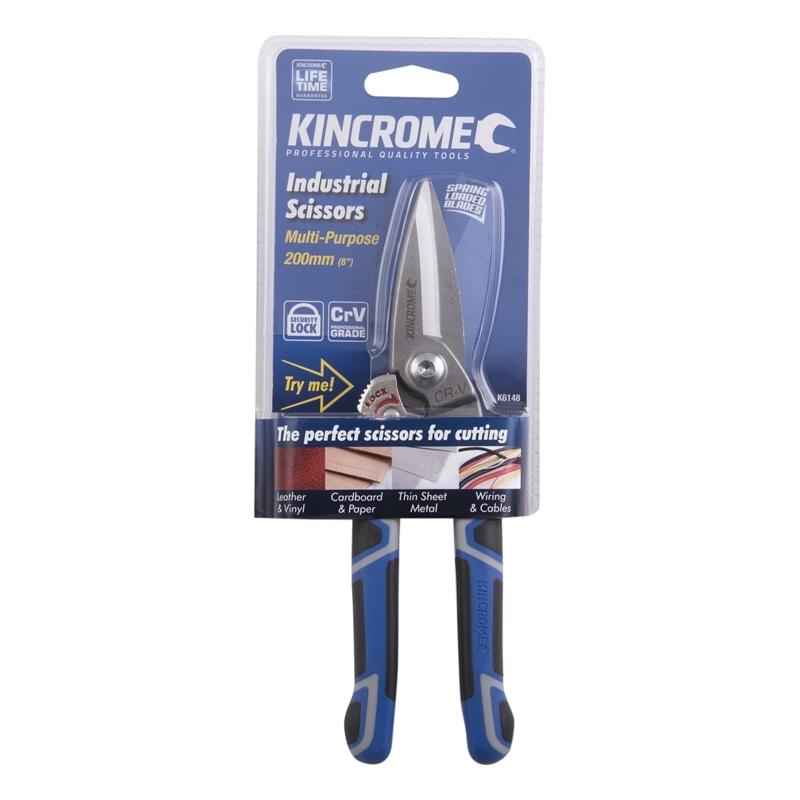 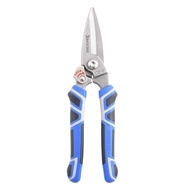 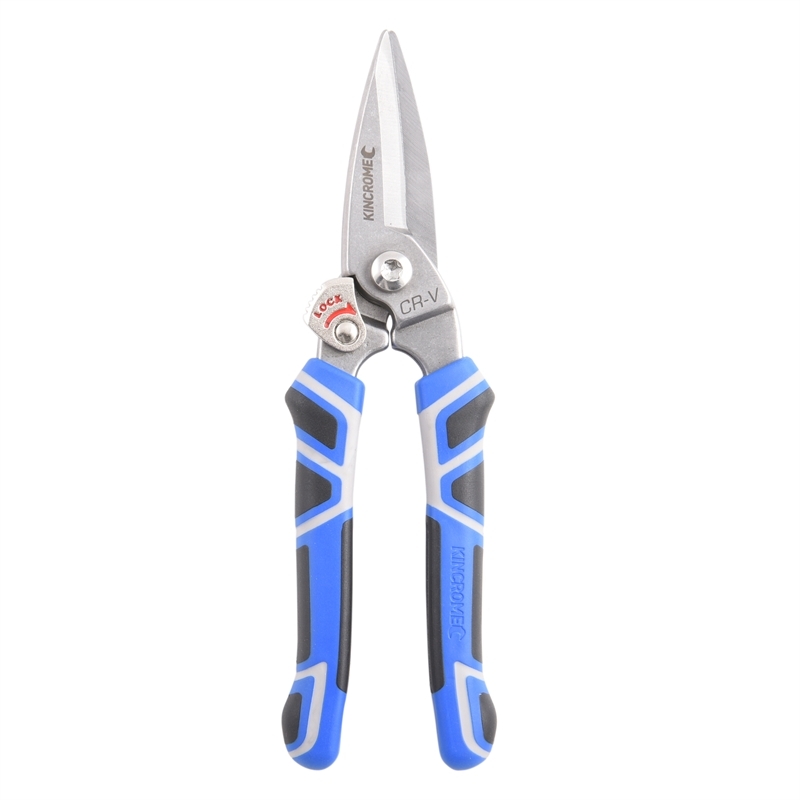 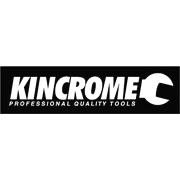 The Kincrome Multi-Purpose Industrial Scissors are perfect for the trade professional, they are suitable for cutting: PVC, cardboard, paper, rubber, cable ties, leather, thin sheet metal, wiring & cables, fabric, wire mesh, hose, wall paper, vinyl and more.They feature a triple injection moulded soft grip handle. 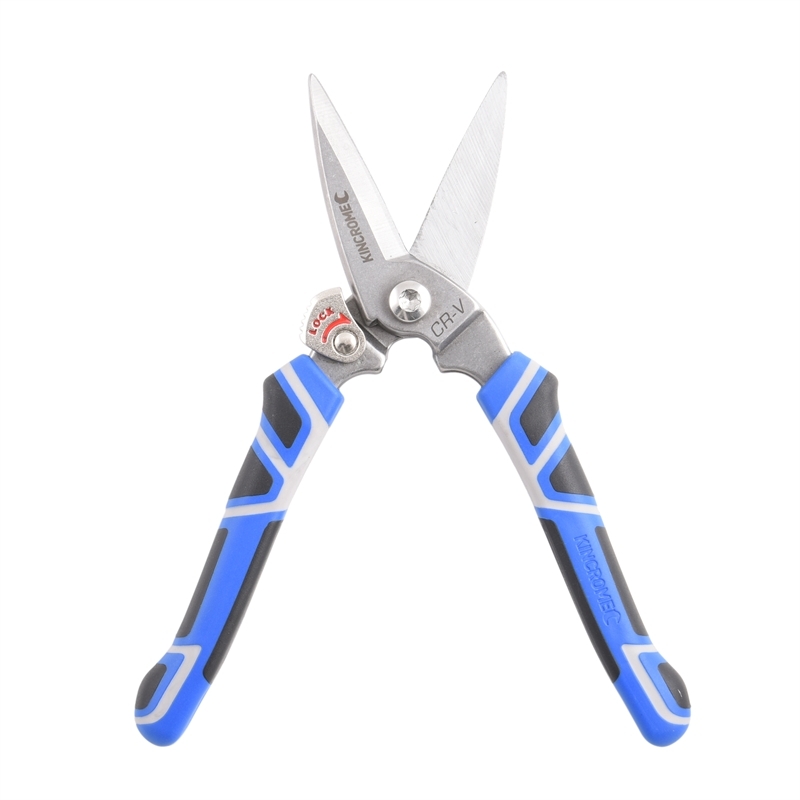 In addition to an easy access locking switch to keep the blades safe whilst in your Kincrome Tool Belt, pouch, or bag. 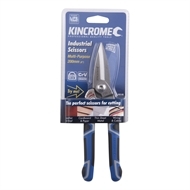 The blades are made from professional grade Chrome Vanadium Steel (Cr-V), and features a concealed spring loaded action for fast repeat cuts.